Announcer: Welcome to the inaugural Miss Chick Lit Pageant brought to you by Chick Lit Chat. You'll be meeting a wide scope of women who represent the genre and their novels well. Coming up next is Elliot Lynch. She hails from The Marrying Type and Charleston, South Carolina. Ms. Lynch works for her family's event planning business and is the star of a new reality TV show about the lives of wedding planners. Elliot, why don't you tell us a little bit about yourself. Elliot walks across the stage with an overly bright smile on her face. Announcer: Err... Why don't you tell us what you like. Elliot: Baseball. Wine. Cupcakes. I try not to eat too many of those, though, because I don't have much time for cardio these days. Announcer: And what is your dream? Announcer: Well thank you, Elliot. That was... interesting. While you change into your swimming suit, we'll tell you a little bit more about The Marrying Type. Did you know it is a modern re-imagining of Jane Austen's novel, Persuasion? In fact, Austenesque Reviews called it "A lovely and inventive homage to Persuasion! But you don’t have to love and be familiar with Jane Austen’s Persuasion to find The Marrying Type an entertaining, charming, and enthralling read." (pauses) Let's welcome Elliot back to the stage for the next portion of the pageant. Announcer (continued): Well don't you look... lovely Tell us a little bit about your swimsuit. Elliot: Well... (looks down) this is the one I wear when I have time to go to the beach. Which hasn't been for a while come to think of it. I like that it has polka dots and it's classic. It also covers up some problem spots well. Elliot: For my talent, I'm going to dry a bride's tears, resolve an argument between the mother of the bride and mother of the groom, and give the florist an earful for showing up an hour later than promised. Announcer: You're going to do that right now? Elliot: No, but you can read all about it in The Marrying Type (beams). Announcer: (sighs) OK, let's go ahead and do the interview. Would you rather be 20 and the most beautiful woman in the world, 30 and the smartest woman in the world, or 40 and the richest? Elliot: That's easy. I'd rather be 30 and the smartest woman in the world. Looks will only get you so far, and 20 wasn't my best year. And while I have no problem being 40--age is just a number--I can assure you money doesn't buy everything. Even if it would help me pay off my family's mortgage without having to resort to a reality TV show. And maybe if I was smarter, I wouldn't have let the love of my life leave, and I wouldn't let my father and sister boss me around, and I'd have a better way of dealing with all of this chaos. (Blinks, then looks uncomfortable.) Those are all hypothetical situations of course. Announcer: Right, well, thank you Elliot for that. As a reminder to all of you watching at home, there is a PRIZE available. You can be a beauty queen too with a gift card. The Grand Prize for this international drawing will be a $100 gift card to Sephora (US/Canada winner), £65 gift card to Lush Cosmetics (UK winner) or a $125AUD to Mecca (Australia winner). A winner will be chosen via Random.org on Monday, May 18th. Entering is easy, just leave a comment answering this question, like Elliot: Would you rather be 20 and the most beautiful woman in the world, 30 and the smartest woman in the world, or 40 and the richest? 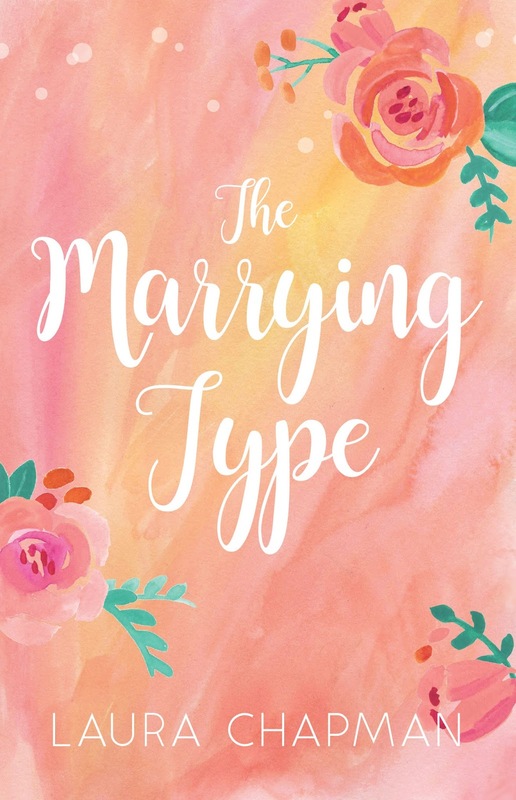 Announcer (continued): And of course, you should check out The Marrying Type. 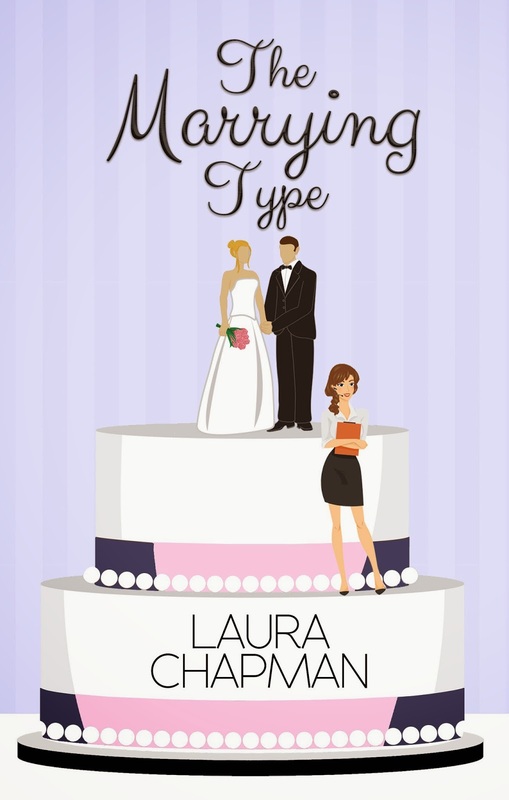 The Marrying Type is now available. Be sure to check out these other contestants in the Miss Chick Lit Pageant. Be sure to comment on their posts to increase your chances for winning the fabulous prize! I would love to be 30 and the smartest woman in the world! Awesome post! :) I LOL'ed at Elliot's talent. I'd love to see "conflict resolution" as an actual talent during a beauty pageant! Best talent ever! :) I would choose to be 40 and the richest woman in the world. I turned 40 this year. I know they say money can't buy happiness, but I'd like to test that theory. I'm happy, but I think I would be VERY happy having to decide if I want to take my private jet or my luxury yacht to go somewhere for lunch. I agree with Danielle. It would be nice to not have to worry about money. Great post, Laura! Thanks again for creating the beautiful artwork for this hop. Given those three options I would hands-down choose to be 40 and the richest woman in the world. That would leave me decades [hopefully] of comfortable living, but more importantly, it would allow me to use my financial wealth to make a difference in the world where it is needed most. I would pair together with the 30 year old smartest woman and have her help me figure out where my money would be best spent to make the most impact. Perhaps we would even pull the 20 year old most beautiful woman in the world to help us on our mission by having her help motivate the youth of the world to do good too?